Fire Resistant Doors offered features quality construction finish and is available in solid core & hot pressed wooden finish. 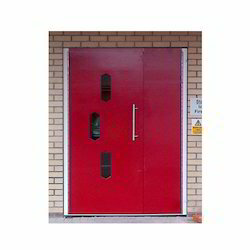 Further, these fire retardant flush doors are also in conformance with defined industry standards. Some of its features include undergoing strict quality control to meet demand of restricting severe fire spread, allows part of the buildings to be separated into different compartments, can be custom developed as per the specific demands of the customers among others. 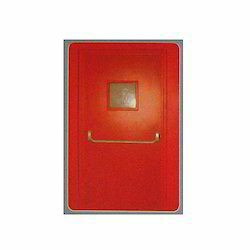 We are the leading Manufacturer of Fire Doors .The application and use of Fire Rated S.S. Doors is of critical importance in buildings and areas needing to compartmentalize and contain the spread of fire. The use and application of fire rated doors is governed by National Building Codes as well as local fire and building authorities.